On behalf of the children, staff and governors, may we welcome you to our school. We believe in providing high quality education, preparing our children with skills for life and encouraging them to be well rounded individuals who are respectful, kind and tolerant of others. Our staff team is committed to providing a secure, happy and calm environment in which all children are able to thrive socially, emotionally and academically. Every child matters and our caring ethos is at the heart of everything we do. We seek to nurture the “whole child”. Together with academic progress, it is equally important to us that the children are given opportunities to develop their social skills, self-esteem, and independence. We want every child to achieve their full potential recognising and celebrating their own achievements and aspirations, as well as those of others. We encourage pupils to become active members of our school community. Our aim is to give pupils the confidence and a ‘can do’ attitude in becoming a positive member of their community. We are continually looking at best practice and our school is ever evolving. We work hard to make sure children are engaged and enjoy learning. In developing our broader curriculum offer, we take pride in expanding pupils’ love of learning beyond the normal school day through additional clubs both before and after school. Our website aims to keep you up to date and inform you about our aims, organisation and activities. 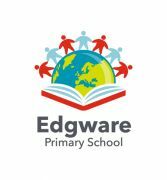 We want our children, parents/carers, our own and other communities to see what we do and to celebrate all of our achievements at Edgware Primary School. Please feel welcome to contact us, ask questions and find out more.